Wireless Technology: Bluetooth. SonicSport Wireless In-ear Headphones. Sound Mode: Stereo. Sound Pressure Level: 93 dB. Main Features Protective Pouch. 30 cm (1') USB Charging Cable. Weight (Approximate): 0.91 oz. For 20 years, the world’s greatest artists have used Blue in the studio. 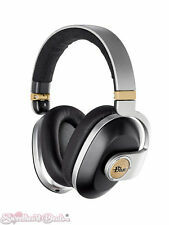 Now Blue has created a wireless over-ear headphone that lets you hear more of your favorite music, everywhere you go. Premium Noise-Cancelling Wireless Headphones With Built-In Amp. Featuring the latest generation of balanced armature drivers, the HEM series can reach frequencies as high as 40,000Hz - twice the frequency range of other balanced armature IEMs'. Each HEM model houses either four (HEM8), three (HEM6), two (HEM4) or one (HEM2) Knowles balanced armature drivers in each earbud - designed to produce pure, authentic sound from a compact body. Maxell Lightweight Kid Action Fit Safe Soundz Stereo Headphones. Maxell Child-Sized Kid-Safe STEREO HEADPHONES - Lightweight for Comfortable Listening. Small Size for Good Fit on Kids. "EXCELLENT ! Accidentally receive the wrong item?. The BTS35 earphones are 100% sweat proof to withstand your most strenuous exercise routines. They're also IPX5-rated water resistant to defy rain and snow for all-season sports and other outd. Wireless Bluetooth Sport Earphones. Battery capacity appears on paired devices and are sweat proof. Bluetooth: V4.1. Speaker Output Sensitivity: 104 dB. Battery Capacity appears on paired device. NEW IN THE PACKAGING Bioworld DC Comics brand in-ear headphones, wired. Yellow/ black Batman symbol on the earbuds. 3 sized ear tips for Universal fit. 3.5mm stereo plug, 1.2m cord length. Payment is due within 2 days of purchase. PLEASE NOTE: Due to several previous issues with buyers/ bidders: I WILL NOT CANCEL bids or purchases after completed or listing ended. If you bid on an item, you are agreeing to the payment and buying terms listed. If there are any questions regarding items listed, PLEASE ASK BEFORE BIDDING ON ITEMS!! Thank you! Paypal accepted and preferred! Built-in Bluetooth allows you to instantly stream music from your Smart Phone, MP3 player, tablet, or other Bluetooth-enabled device. The Active Sport Headset is easy to use and allows you to jump from listening to music to answering calls quickly and easily. Stream music wirelessly to your headphones AND use the built-in speakerphone to receive calls. Manufacturer: Supersonic, Inc. Minimum Frequency Response: 20 Hz. Maximum Frequency Response: 20 kHz. User Manual. Drive sensitivity: -20dB @ 1kHz. dynamic frequency response range: 20Hz - 20kHz. Bluetooth transmission power: 4 dbm. Bluetooth version: 4.2. Bluetooth profiles: HFP v 1.6, A2DP v 1.3. Bluetooth frequency: 2.402 - 2.48 GHz. TaoTronics - Enhance Your Life. Enjoy life to the fullest with TaoTronics. Weight: Earbuds 4g. Capacity: Earbuds 45mAh / Charging Case 3350mAh. 2 x Earbuds. Bluetooth Version: 5.0. For All Occasions: With a built-in mic in each earbud, you can utilize both Single/Twin Mode; use a single earbud for working or use the pair to enjoy music alone or share with a loved one. Format: HEADPHONES, Black. Sorry, international expedited service is not available. Kenwood KHS31 Monaural Over-the-Ear Headset - Sold as 1 Each. The KHS31 headset is very comfortable and can be adjusted to fit your ear size. For use with TK3230K,TK2400 Series, TK3400U4P, TK3402U16P. Ban.do Listen Up! Apple Compatible. Apple capable but need converter from aux to iPhone adaptor if it is a newer iPhone generation. A headset that is perfect for use with a desktop transcription machine featuring a 3.5mm jack. Soul BYRD is the perfect all-rounder. With balanced sound and outstanding resolution, the Soul BYRD knows how to bring out the very best in your favourite songs. The universal three-button remote with microphone provides you with full functionality on both Android and iOS playback devices. (Wicked Audio THE TRIAD Headphones, Ear Buds, Mini Speaker Bundle Bonus Cord. Contains: 1) Headphone, 1) Earbuds 1) Wired Speak 1) Bonus Audio Wire. Headphone Info Amazing Bundle For All Audio Lovers.